Northrop Grumman Corporation’s software-defined Multi-Band Synthetic Aperture Radar (MB SAR), recently provided counter-improvised explosive device (IED) support assisting the drawdown of U.S. combat troops in Iraq. 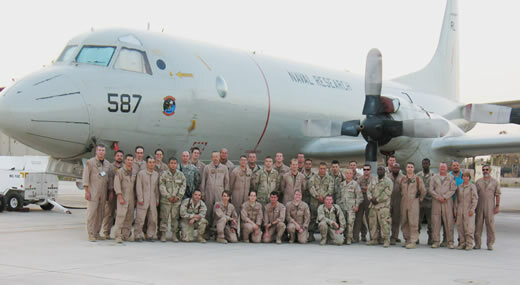 The radar was deployed aboard a U.S. Navy NP-3D Orion aircraft, which performed missions as a part of Task Force Observe, Detect, Identify and Neutralize (ODIN). Arriving in theater, July 20, 2010, the aircraft, operating under the Naval Research Lab ‘Team Perseus’, performed performance of 34 flights, approximately 6-7 hours each, obtaining MB-SAR and scene-change images along the movement routes used by the ground forces. The images were produced onboard the aircraft with the latency of only few minutes. Data were collected in circular passes to illuminate objects from all directions, enhancing the ability to see objects with any orientation. A typical circle of about 20 kilometers in diameter took about 10 minutes to fly and illuminated a 12-kilometer section of a road and its surroundings. The SAR and scene change images were available 10 minutes after the completion of each circle and were calculated while the next circle was being flown. This flight profile was executed for more than 20 consecutive circle passes, covering up to 200 kilometers of road in a single flight while NRL and Northrop Grumman personnel performed data acquisition and image exploitation onboard the aircraft as constant imagery feeds from the L3 Wescam MX-15 stabilized electro-optical payload assisted in analyzing and adding visual situational awareness to the acquired scene change data. Operating as a multi-band sensor, the unique radar and associated real-time processing system could support many missions, including locating IEDs, imaging under foliage and into buildings, and detecting changes over a wide area. “We initially used MB-SAR in a sensor suite tailored for counter-narcotics work in Colombia,” said Dr. Joan Gardner, co-manager at Project Perseus, ”We saw its value and quickly recognized its greatest capabilities were being under utilized. The ability to survey very large areas in all weather conditions, day or night, and to cue other on-board sensors enables airborne assets to provide real-time, tactically-relevant information directly to troops on the ground or for border surveillance. Designed as a software-defined system, users could flexibly reconfigure the operating parameters of the radar, to rapidly adapt to mission requirements as well as integrating, testing and calibrating the system in less than five weeks. MB-SAR was developed with support from the U.S. Air Force’s Aeronautical Systems Center. A team from NRL Project Perseus provided the MB-SAR system integration on the NP-3D. The design leverages internal Northrop Grumman R&D, which was assisted by Defense Advanced Research Projects Agency and the Naval Aviation Systems Command supported programs.